It is hard to believe what WBC Light Heavyweight Champion Bernard "The Executioner" Hopkins has achieved during his 23-year long professional career. He was the middleweight champion for ten years, notched a record 20 successful title defenses of that crown and at 46-years-old, has become the oldest fighter in boxing history to win a world title. It's also hard to believe that a young lion like former World Champion "Bad" Chad Dawson, who has wanted a shot at Hopkins for years, will finally get his opportunity to stop Hopkins from continuing his record-breaking journey. "Believe It Or Not: Hopkins vs. Dawson" takes place on Saturday, October 15 at Staples Center in Los Angeles, Calif. and will be produced and distributed live by HBO Pay-Per-View beginning at 9:00 p.m. ET/ 6:00 p.m. PT. In addition to this championship main event showdown, the televised pay-per-view undercard will also feature Antonio DeMarco vs. Jorge Linares in a 12-round fight for the vacant WBC Lightweight World Title and Kendall Holt vs. Danny Garcia in 12-round bout for the vacant NABO Junior Welterweight Title which will also be an eliminator for the number one rating by the WBC and the number two rating by the IBF. "Chad Dawson has earned the right to challenge me for my titles and I know he's been looking for this fight for a long time," said Hopkins, who will be defending the WBC and Ring Magazine Light Heavyweight Championships he captured from Jean Pascal on May 21. "But you've got to be careful what you wish for because, believe it or not, I will be prepared once again to beat father time and show the world what I can do. Jean Pascal underestimated me and Chad Dawson better not do the same. He is going to walk away empty-handed on October 15 and I will make history once again." "Bernard has had a great career, but his run as boxing's oldest champion is over now," said former World Champion Chad Dawson. "A strange series of events led to him getting my title, but this was all a temporary side story. I am the true light heavyweight champion of the world and on October 15, I will put the world back where it should be and reclaim my belt." "The story of Bernard Hopkins is perhaps the most amazing story in boxing and he keeps adding chapters with each great performance," said Richard Schaefer, CEO of Golden Boy Promotions. "He is coming off of a historic victory over Jean Pascal and while most fighters would have rested or come back in an easy fight, Bernard insisted on facing a dangerous challenger in Chad Dawson and I have no doubt that he will amaze the sports world once again and remain the oldest world champion in history. "On top of an incredible main event, fight fans will see two explosive matches in the opening fights as Jorge Linares takes on Antonio DeMarco and undefeated star Danny Garcia faces Kendall Holt. This lineup is a night of boxing you will not want to miss as the card is stacked with talent from top to bottom." Said Gary Shaw, President and CEO of Gary Shaw Productions: "As a boxing fan, I almost hate to see Bernard's run at the top of the division come to an end, but sadly, that's what is about to happen. Chad Dawson is the rightful champion in this division and, like all good fairy tales, Bernard's is about to conclude. 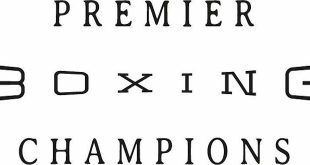 On the undercard we have two sensational match-ups for our fighters and I look forward to watching Kendall Holt and Antonio DeMarco emerge victorious." 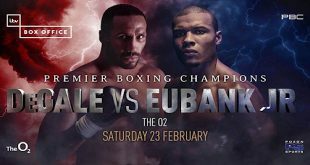 "Not only does he refuse to rest on his laurels, but at age 46 Bernard Hopkins is taking on one of the best light heavyweights in the world in Chad Dawson," said Mark Taffet of HBO Pay-Per-View. "We look forward to this matchup and the next chapter in Hopkins' history on October 15." A future Hall of Famer, Bernard "The Executioner" Hopkins (52-5-2, 32 KO's) has shocked the world by accomplishing more after 40 years old than most athletes do in their entire careers. A proud native of Philadelphia, Pennsylvania, Hopkins rebounded from a seemingly dead end struggle with life in the streets and a stint in prison to become an inspirational figure who has proven that hard work and determination will allow you to overcome any odds. After coming up the hard way in the ring, Hopkins won the IBF Middleweight World Title against Segundo Mercado in April of 1995 and he wouldn't surrender the belt for 10 years, defending the title a record 20 times against the likes of John David Jackson, Glen Johnson, Simon Brown, Antwun Echols, Keith Holmes, Felix Trinidad, William Joppy, Oscar de la Hoya and Howard Eastman. Following the controversial loss of his title to Jermain Taylor in 2005, Hopkins reinvented himself as a light heavyweight at the age of 41, shocking Antonio Tarver with a unanimous decision victory in 2006, but he wasn't done yet as he went on to defeat Winky Wright, Kelly Pavlik and avenge a previous loss to Roy Jones Jr., with the only blemishes on his record being a narrow split decision loss to Joe Calzaghe and a controversial draw with Jean Pascal. Even after all of those accomplishments, the best was yet to come, as the 46-year-old Hopkins decisioned Pascal in their rematch in May of this year, earning him the WBC and Ring Magazine Light Heavyweight World Titles and true boxing immortality. At just 29 years old, New Haven, Connecticut's "Bad" Chad Dawson (30-1, 17 KO's) has been considered one of the top fighters in the sport for years and despite his impressive 7-1 record in world title fights, he knows that everything is riding on his October 15 showdown with "The Executioner." The son of a former boxer, Dawson was a stellar amateur, posting a 67-13 record that included an under-19 National Championship. He turned professional in 2001 and fluctuated from middleweight to light heavyweight in his early years, winning a WBC Youth title at 160 pounds in 2003 that he defended three times. In 2005, he defeated Ian Gardner for the vacant NABO middleweight title, but in 2006 he decided that light heavyweight would be his home, and he quickly made his mark with a 12 round win over Eric Harding that earned him the NABF light heavyweight crown. In his next fight, on February 3, 2007, Dawson won his first world championship, decisioning 31-0 Tomasz Adamek. Over his next six fights, Dawson established himself as one of boxing's best as he scored two wins each over Antonio Tarver and Glen Johnson and while he lost his belt to Jean Pascal via decision in August of 2010, a clear-cut win over Adrian Diaconu in May put him right back in line for another world title and the biggest fight of his life. 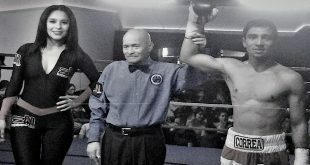 Hard-hitting Mexican standout Antonio DeMarco (25-2-1, 18 KO's) has been a favorite among fight fans ever since his exciting win over Nick Casal in 2007 and he continues to impress with his power and tenacious style. The former WBC Interim Lightweight World Champion and 25-year-old Los Mochis, Sinaloa, Mexico native has notched knockout wins over Kid Diamond, Jose Alfaro and Daniel Attah. After suffering his only defeat in the last five years, a 2010 loss to the late Edwin Valero, DeMarco has learned his lesson and is well-prepared to regain his title and re-cement his place among the lightweight elite. "I've been waiting for the opportunity to get the WBC title back for over a year and I'm very excited that it's finally here," said DeMarco. "Linares is a great fighter and a two-time champion, but that's what I want. I don't want an easy fight to win the title, I want to beat the best to know that I'm the best, and that's what I'm going to prove in October." Nicknamed "El Nino de Oro" ("The Golden Boy"), Venezuela's Jorge Linares (31-1, 20 KO's) is one of the most accomplished 25-year-old fighters you will ever find, already having compiled two world championships in two weight divisions. In 2007, Linares won the WBC Featherweight World Title with a tenth round technical knockout over Mexican great Oscar "Chololo" Larios, then a little over a year later, he added the WBA Super Featherweight World Title with a fifth round stoppage of Whyber Garcia. After losing his belt in 2009, the exciting sharpshooter began his assault on the lightweight division, defeating top contender Rocky Juarez and former World Champion Jesus "El Matador" Chavez along the way. 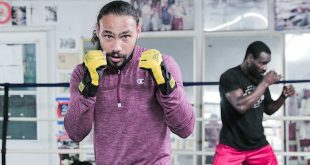 Now, he has moved his training camp to Hollywood to train with the legendary Freddie Roach at Wild Card Boxing Club and will be more than ready for his shot at a third divisional championship against DeMarco. "I am looking forward to the opportunity to fight DeMarco for the WBC World Championship," said Linares. "I am preparing for this fight with my new trainer, Freddie Roach and his team. It has been great camp and I will be 100% prepared to win the fight on October 15." A talented boxer who enters the ring with a compelling mix of speed and power, Kendall "Rated R" Holt (27-4, 15 KO's) is believed by many to just be hitting his prime at the age of 30. A former WBO Junior Welterweight Champion, the Paterson, New Jersey native owns wins over David Diaz, Isaac Hlatshwayo and Ricardo Torres, and his highlight reel of knockout victories is one of the best in the sport. Fresh off of knockout wins over Lenin Arroyo and Julio Diaz, Holt is looking forward to his showdown with Garcia as he looks to climb back into the world title picture. "I've watched Garcia on the way up and he's a talented kid, but I'm a man in this game and I'm ready to show it on October 15," said Holt. "This is Jersey vs. Philly and I know he'll be coming hard, but I'll be coming harder. He may be younger, but I'm hungrier." Twenty-three year-old Danny "Swift" Garcia (21-0, 14 KO's) eagerly took up the challenge to earn his place among the revered Philadelphia warriors of the past when he turned professional in 2007, and he hasn't disappointed yet. He has sailed to a perfect professional record while putting himself in position to move into title contention. A winner of four of his past five fights by knockout, Garcia has already defeated top competition like Ashley Theophane, Mike Arnaoutis and former World Champion Nate "Galaxxy Warrior" Campbell, and nothing would make him happier than adding Holt to his list of vanquished foes. "I have been waiting since I was 10-years-old to fight on HBO Pay-Per-View, now I have my shot and I'm excited," said Garcia. "This is my time to shine and I'm not going to let anyone take this opportunity away from me." The Hopkins vs. Dawson pay-per-view telecast, which begins at 9:00 p.m. ET / 6:00 p.m. PT, will be produced and distributed by HBO Pay-Per-View and will be available to more than 92 million pay-per-view homes. The telecast will be available in HD-TV for those viewers who can receive HD. Tickets for Hopkins vs. Dawson, priced at $300, $150, $75 and $25, are on sale now and are available for purchase online at www.staplescenter.com, www.ticketmaster.com or via Ticketmaster charge-by-phone lines at (800)745-3000. Tickets will also be available at STAPLES Center box office beginning Tuesday, August 9. "Believe It Or Not: Hopkins vs. Dawson" is a 12-round bout for Hopkins' WBC Light Heavyweight World Championship Titles. The event is presented by Golden Boy Promotions and Gary Shaw Productions and sponsored by Cerveza Tecate, AT&T and Ripley's Believe It or Not, a new sponsor to the fight game who forged a relationship with Hopkins earlier this year when they made a wax figure of the future Hall of Famer, which will be unveiled during fight week in Los Angeles and displayed at a Ripley's Odditorium in the future. DeMarco vs. Linares is presented in association with Teiken Promotions.